With the ever-growing need for energy and water resources, global piping industry is growing rapidly and at the forefront of this development, has been the evolution of fiberglass. Demand for high-quality glass reinforced plastic (GRP) piping has been observing an upward trend in the recent years. 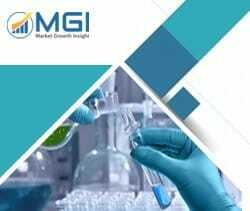 This report studies the global Glass Reinforced Plastic Pipe market status and forecast, categorizes the global Glass Reinforced Plastic Pipe market size (value & volume) by manufacturers, type, application, and region. This report focuses on the top manufacturers in North America, Europe, Japan, China, and other regions (India, Southeast Asia). Focuses on the key Glass Reinforced Plastic Pipe manufacturers, to study the capacity, production, value, market share and development plans in future. Regional and country-level analysis of the Glass Reinforced Plastic Pipe market, by end-use.